In the yeat 1613, the Date Maru galleon, led by Hasekura Tsusenaga, set off from Japan towards Europe. The Keicho Embassy here, made up of Samurais and Japanese tradesmen, set off to establish trading relations between the nations of Spain and Japan. After crossing the Pacific and Atlantic Oceans, the fleet embarked upon Spanish lands and disembarked onto Seville. After meeting with the Spanish court in the capital, the expedition decided to march towards the Vatican. On their journey, Hasekura passed through the Montserrat Monastery on the way towards the city of Barcelona, where he will embark for Rome. 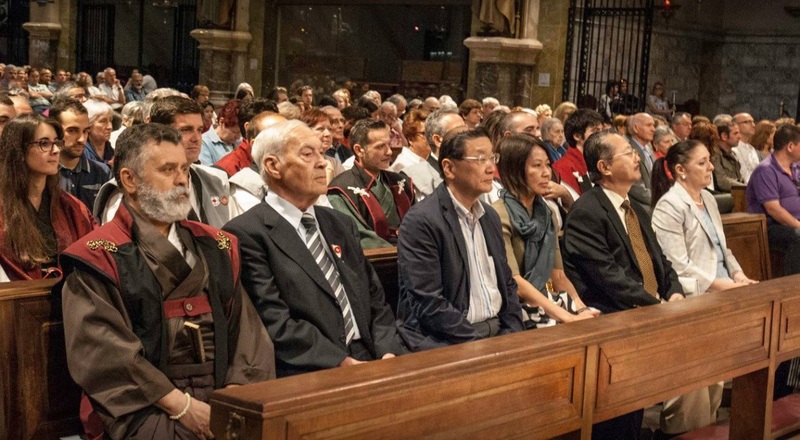 In order to commemorate this path taken by Hasekura and the Keicho Embassy towards Catalunya, the Wai Rei Ryu Association annually lay a wreath in the Montserrat sanctuary, a symbolic act to dignify the momentous meeting between the Japanese and Western powers and cultures.